STE has been paying a great effort in designing Smart Applications to respond the challenges associated with sustainable development and to improve the quality of life in the urban environment. All applications are designed by STE to fulfill the needs associated to different elements. They can work autonomously, for specific tasks, or integrated within an Supervision & Control Centre providing an integrated picture where all data from the individual applications are enriched by additional information resulting from their analysis and correlation. 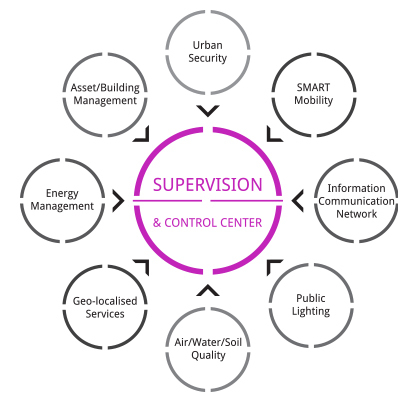 The complexity and the number of applications for any solution are tailored according to the required functionalities that in the broadest sense meet a comprehensive SMART City concept.